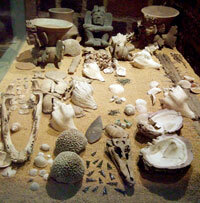 There were 7 different kinds of conch, the largest of which were called ‘quiquiztli’. 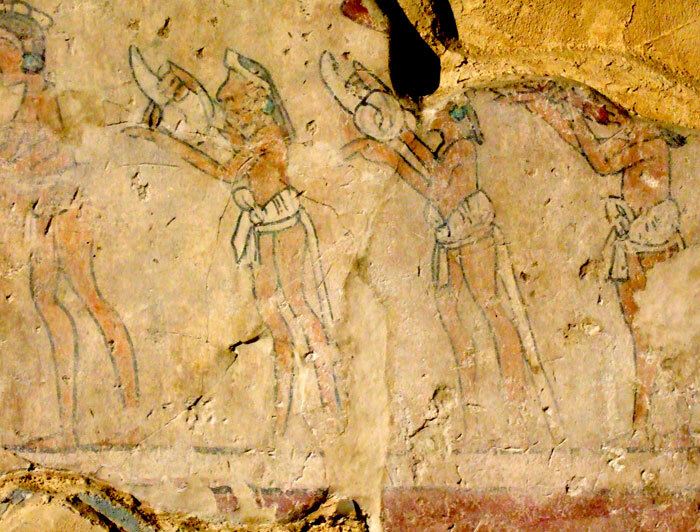 The instrument had sacred and ancient associations - with the sea, with the call to prayer, with the underworld, with the moon, with fertility, with the wind god Ehécatl, who had the power to blow life into a void, just as the blower blows life into an object (the conch) that would otherwise remain ‘lifeless’ for ever. Its haunting sound harked back to ‘the primordial blast of the world produced in the underworld by Quetzalcóatl heralding the creation of humankind’ (Patrick Johansson). Conch shell horns were also part of military equipment: blown perhaps in a similar fashion to more modern (brass) bugles as calls for battle to begin when the Aztec army engaged in actual combat. 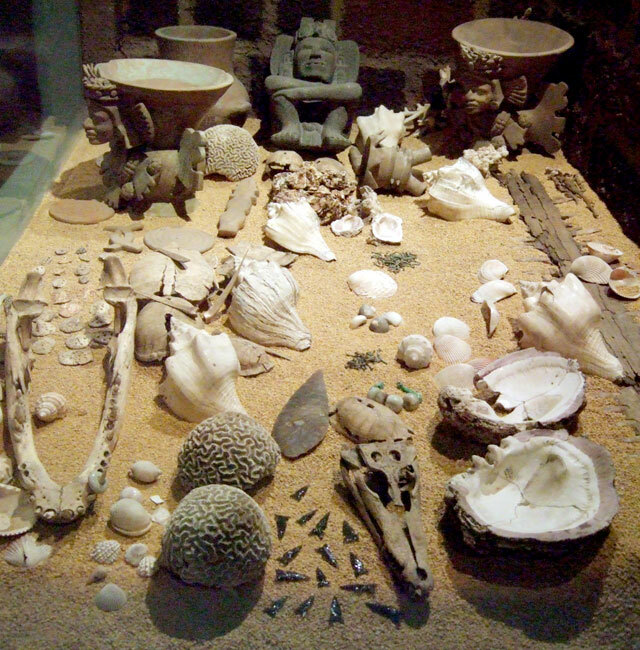 Offerings to the god of rain, Tlaloc, discovered in recent years at the Templo Mayor site in Mexico City, often contained ‘symbolic references to music, fertility and plants’ (Eduardo Matos Moctezuma), including several conch shells. Can you spot them in Picture 3? Internationally, professional musicians have taken up the conch and developed it as a creative solo and ensemble instrument. Listen to evocative conch sounds as recorded by Steve Turre and Tommy Adolfsson (follow links below). 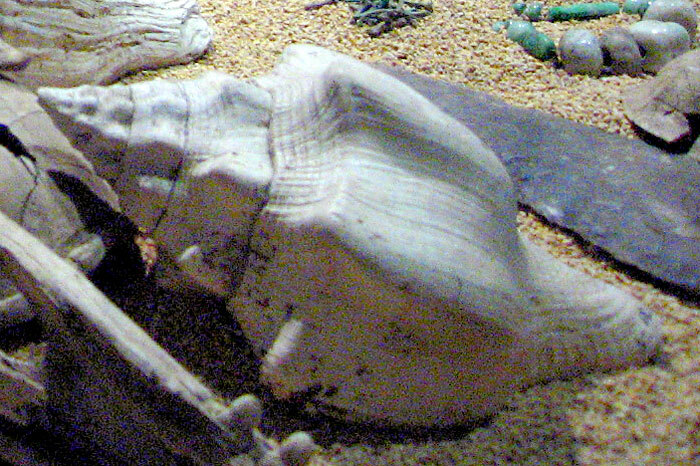 Conch or triton shell trumpets were also used in Polynesian cultures.